Do you always try to paint or draw exactly what you see in your reference photo? This one-day class will help you break this habit and put your own expressions into your artwork. We will do some fun exercises to assist your hand loosen up and your brain to expand. Learn how to set the mood with even a bad photo reference in whatever medium you are currently using. Vic (St. Louis, MO) a professional artist for over thirty-five years, is co-owner of Green Door Art Gallery in Webster Groves, Missouri. 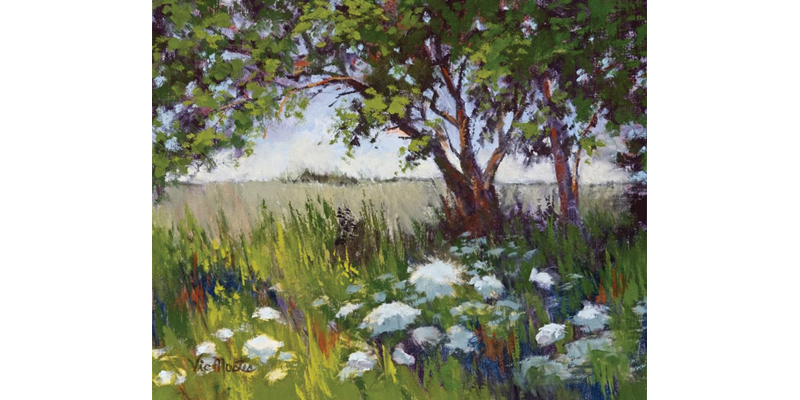 She founded the Gateway Pastel Artists in 1998, an affiliate of the International Association of Pastel Artists. Her work has received numerous awards and has been in museums and galleries.